Book Description: Sylvie has always known she deserves more. Out in the permanent twilight of the Dusklands, her guardians called her power to create illusions a curse. But Sylvie knows it gives her a place in Coeur d'Or, the palais of the Amber Empress and her highborn legacies. I came out of Amber & Dusk with some mixed feelings. I liked some aspects a lot, and did not care for others. However, this book kept me interested and reading until the end, and for that, it was a win. Also, barring certain factors, I will definitely read the sequel. My main issue was connecting to the heroine. For me to enjoy pretty much any book, I need to be able to connect to an MC, and Sylvie/Mirage was tough for me. Unfortunately, she just read as whiny and entitled, and for most of the book had a Marie Antoinette complex - ‘I am a legacy so I deserve better. I don’t care what is happening in the real world.’ I mean I get her deep desire to belong, but the way she approached it, didn’t sit well with me. Eventually Mirage wakes up and (spoiler: then is all of a sudden planning a revolution /end spoiler). I just didn’t buy the transition well, and really struggled to understand her character as a whole. I found Sunder to be the most interesting character. I liked his moral greyness and actually, Mirage became a lot more interesting to me at the end when she acquired a little bit of that. But I really enjoyed Sunder and he for sure kept me reading. Figuring out who he was ended up being one of my favorite parts of the story. I also enjoyed Thibo and Lullaby, tho with such a big court, this story doesn’t have a big cast, and I wanted even more from them. I liked the direction of the romance a lot, and I am hoping that it continues along those lines in future books. There is a second possible direction that peters out into friendship and I’m hoping it stays that way (if it doesn’t, I won’t be reading more of this series. I’ve not got time for that). But I never trust expectations for sequels, so we shall see. Besides not connecting to the MC my biggest issue with this book was the world-building. I never quite grasped the - the sun hasn’t gone down for many years thing. At least why it mattered to the story, besides just being part of the world. I hope that’s explored more in the future. But overall I liked this debut, and barring any potential love triangles, I’d definitely read the next installment. Love Triangle Factor: I'm going to say none (or low) - but there is a progression, so be aware of that. Cliffhanger Scale: Low - There are unanswered questions and another book - Diamond & Dawn - to come. I think this is a duet, but I'm not certain. Book Description: 17-year-old Julianne Bell’s life is caving in on her. Literally. Her mother is a hoarder and shopping addict whose retail drug of choice is collectible dolls. She also dabbles in lesser fixations like snow globes, commemorative plates, kitchen gadgets, and never-to-be-used exercise equipment. Their house is not a home but more a bizarro game of Garage Sale Tetris in which flea market finds, Amazon boxes, and QVC shipments are puzzled together in a labyrinth of consumer excess and looming bankruptcy. It’s a situation Julianne has grown adept at hiding. That is, until the day her school cafeteria account slips into the red. Meal-skipping is not an option for someone with Type 1 Diabetes, so when Julianne has a seizure in class, her father claims custody. Living with her dad and annoyingly perfect step-mom is not how Julianne planned to spend her summer, let alone her senior year. Needing fast cash to help her mom avoid foreclosure, Julianne takes a job at an amusement park, and as luck would have it, her former classmate—heartthrob Brandon Wright—also works there. Between sweeping up cigarette butts at the park, racing to solve her mom's personal and financial disasters, a medical condition that needs constant monitoring, and a budding romance, Julianne Bell’s messy life just got a whole lot messier. Set against a summery backdrop of roller coasters, pool parties, and cute boys, DOLL HEARTS explores issues of obsessive-compulsive hoarding, family bonds, and first love. I loved Colleen Clayton's first book What Happens Next. It is a contemporary gem, and I definitely recommend that you read it if you haven't already. Because of that I was excited to read her new book Doll Hearts. Unfortunately, I have very mixed feelings about this book. What I liked: The story of Julianne dealing with her mom’s hoarding and OCD, as well as her relationship with her dad and Melody, was raw and felt realistic. And I really appreciated how the story ended with all of that. It wasn’t perfect, but Julianne grew up a lot and ended up in a good place for herself. I don’t know a lot about type 1 diabetes, or how accurate is this portrayal of it, but found that part of the book to be interesting and eye opening. Though I wanted to shake Julianne every time she got mad at her friends for their care and concern. I also liked Julianne’s new friendship with Dana and also with Lindsey, and her job at Cedar Point. What I loathed: However, I hated the romance. It was a complete miss for me, and that pretty much ruined my enjoyment of the story. I didn’t like Brandon much throughout the story, and I completely lost all trust in him after that end party. WHAT?! I didn’t buy his explanation at all. The whole Adriana situation made me very angry. He shouldn’t have been hanging out with Adriana at all after he started dating Julianne. Full stop. For me, there was nothing swoony about this storyline or this guy. You’re not going to convince me that Brandon wasn’t still playing around, and I hated that in the end he never really realized why Julianne was upset - or apologized. And while Julianne acted tough at first, I can’t believe she just fell for his explanation at the end like it was nothing. Yeah right. No thank you, buddy. I cannot recommend this book, because I hated the romance, and that's a very important factor in my enjoyment of any story. 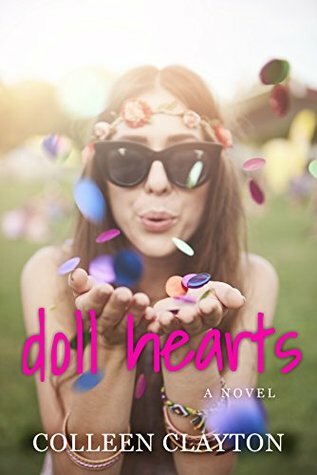 However, I did like Julianne and a lot of the other elements in Doll Hearts, and I'd be interested in another story by this author - assuming the romance was different than this. Love Triangle Factor: None from Julianne's perspective. There's definitely a reverse love triangle happening from Brandon's perspective though. You're not going to convince me that there isn't. Book Description: In this powerful and exciting fantasy set in the world of the New York Times bestselling Others series, humans and the shape-shifting Others will see whether they can live side by side...without destroying one another. NOTE: Wild Country is the second book in The World of the Others series, following Lake Silence. This series is a companion to the previous five Others books, which start with Written in Red and focus on Meg and Simon and the Lakeside Courtyard. This book is a little bit more tied to the Others books than Lake Silence was. It connects into the last one, Etched in Bone, and I don't know why you'd want to miss out on everything that came before this, because it is amazing. What I loved: I cannot tell you enough how much I love this Others world that Anne Bishop has created. I have devoured every previous book, and look forward with much anticipation, to each new one written. The first five books of the series remain my favorites, but I've enjoyed exploring outside of the bounds of the Lakeside Courtyard. I was especially excited to visit Bennett, because we get some brief glimpses of this town from the end of Meg and Simon's series. I wanted to get to know Tolya Sanguinati and Barbara Debany better, as we'd met both of them before. Of course, this story introduces several new characters that I enjoyed meeting. But my favorite new faces in this book were definitely Virgil, the Wolfguard Sheriff and his new human deputy Jana. After the Elders wiped out much of Bennett, (this was done because of the decisions of some terrible humans), the terra indigene are working to resettle the community and begin to bring in creatures, inuits, and humans to work together in the town. This process brings in some wonderful people, but also danger in the form of the Blackstone Clan. This book has so many of the elements I've come to know and adore about this series, the characters, the intense world-building on a macro and micro scale, real danger and action, and the good guys trying to stay steps ahead of the bad. I especially love when the terre indigene begin to work with the inuits and humans and we see camaraderie and bonding between them in the face of the bad people. This book has all of that. What I didn't love: However, I've got to admit that this is my least favorite book in this series. I'm struggling to pinpoint why this is exactly. Some of the reasons are small like I personally did not care for the Tolya - Jesse Walker situation. I liked both of them a lot individually but (spoiler) don't care for the "friends with benefits" situation that isn't going anywhere (end spoiler). My disappointment was also largely due to the way the story ended. As Wild Country is the last book in this world that the author has scheduled (for now), I expected it to end differently than it does, with a little more hope and a more positive, or at least more clear bigger picture direction. Honestly, I was depressed when I ended this book. The action comes so quickly right up until the end an there's very little decompression when it's over and the book stops. I ended it feeling sad and let down about the state of the town and its residents. It all just felt unfinished to me, and maybe that's a lot to do with my expectations, but I just wanted a lot more from this story if it's the last one in the world. And with all that this town has faced, I wanted more for these charters at the end. 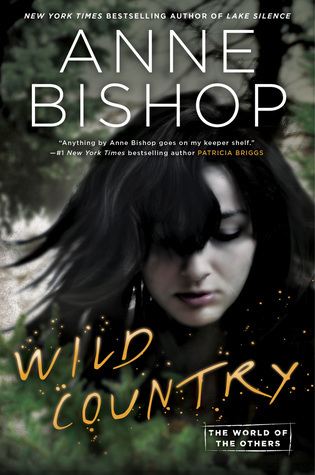 That said, I still enjoyed so much about this book and I would be thrilled if Anne Bishop writes more in this world. (crossing my fingers!!). Love Triangle Factor: None, there are a few side romantic situations, but none of them drew me in like previous pairings. Cliffhanger Scale: Standalone/companion. I don't know when/if the author will write more in this world - but, hopefully she will! Source: Andi @AndiABCs - TY! Book Description: For Sophie, small town life has never felt small. With her four best friends—loving, infuriating, and all she could ever ask for—she can weather any storm. But when Sophie’s beloved Acadia High School marching band is selected to march in the upcoming Rose Parade, it’s her job to get them all the way to LA. Her plan? To persuade country singer Megan Pleasant, their Midwestern town’s only claim to fame, to come back to Acadia to headline a fundraising festival. My Thoughts: I don’t read a lot of contemporary YA these days, but Emma Mills is an auto-buy author for me, and once again, this book proves why. She is the best at depicting friendships in all their real, messy glory. The dialogue and banter between her characters is so good. I loved Sophie and her group of friends and their love of band. Then August moves in two houses down, and I adored watching them, and, especially, Sophie, get to know him. This book has another slow burn, sweet romance. And (bonus!) more kissing than her previous stories. I always want to give these books a big squeeze when I’m done — and text all my friends. The only thing that bugged me was an over use of T names. I couldn’t keep them all straight. Terrance, Troy, Tegan, Tanner - it was too much! **Thank you Andi for lending me a copy of this book! Source: Hardback - gift from my sister! 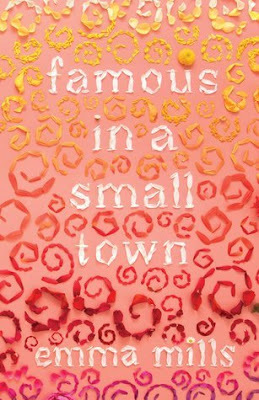 Book Description: A contemporary young adult novel by Emma Mills about a girl whose high school production of A Midsummer Night's Dreamleads her to new friends--and maybe even new love. When Claudia accidentally eavesdrops on the epic breakup of Paige and Iris, the it-couple at her school, she finds herself in hot water with prickly, difficult Iris. Thrown together against their will in the class production of A Midsummer Night's Dream, along with the goofiest, cutest boy Claudia has ever known, Iris and Claudia are in for an eye-opening senior year. 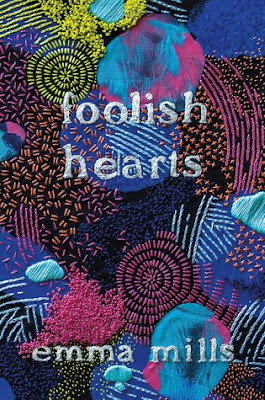 Smart, funny, and thoroughly, wonderfully flawed, Claudia navigates a world of intense friendships and tentative romance in Foolish Hearts, a YA novel about expanding your horizons, allowing yourself to be vulnerable, and accepting--and loving--people for who they really are. My Thoughts: It’s been so long since I binge read a book from start to finish, but I couldn’t stop reading this one! I read 75% last night and then finished the rest this morning after realizing it was super late, and I really needed to sleep. This one doesn’t have such a solid friend group as Famous in a Small Town, but I love Claudia and her friendship with Zoe and the friends she makes through this book - Especially with Iris - and how that leads to a larger group. The romance with Gideon Prewitt was sweet and adorable. Previous heroes have been more Darcy like, but not Gideon. He’s hilarious, and the life of the party, and it’s so obvious how much he likes Claudia. It just takes her some time to realize it. I will read anything this author writes! 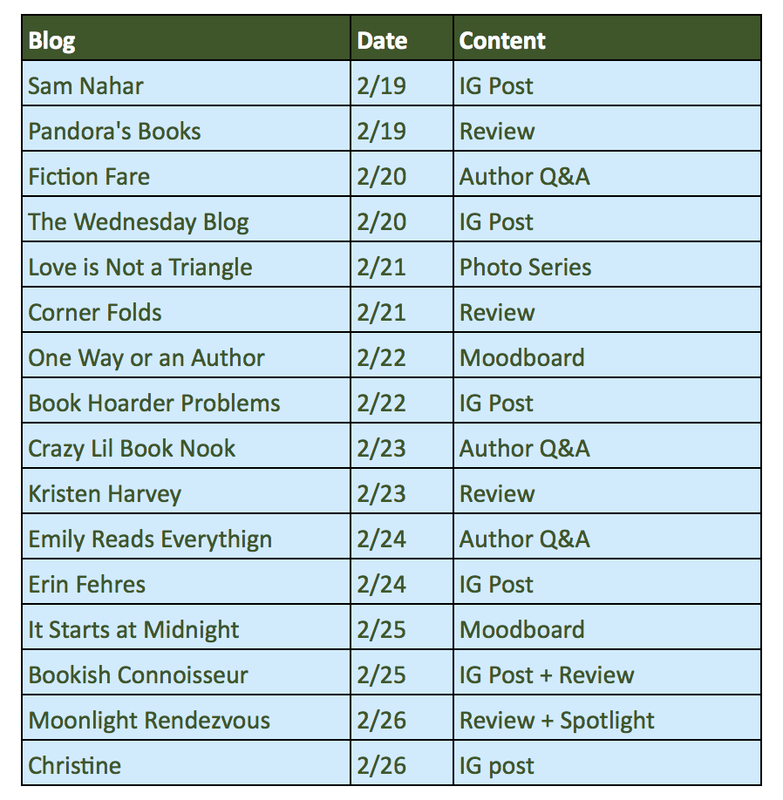 In Conclusion: Emma Mills is an auto-buy author for me! Her contemporary YA is filled with great friendships, swoony slow-burn romances, and so much fun. Don't miss these books or this author's other stories. This Adventure Ends is still my favorite! And I cannot wait for what she writes next. Book Description: Jesse Lachlin is cursed. 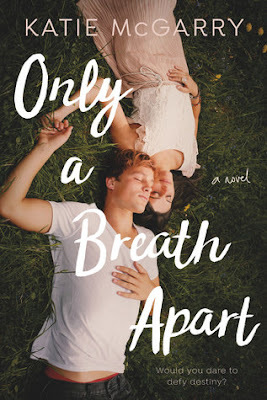 I am a big fan of Katie McGarry's books and Only a Breath Apart features many of the elements I've come to expect (and love) in her stories. This book features a wealthy, seemingly straight-laced girl who is hiding a messy, difficult home life, who falls in love with the misunderstood, but big-hearted bad boy from the opposite side of the tracks. Surprisingly, and despite the difficult hand this boy has been dealt, he has a better support system than the girl does. These two semi-broken people find each other and work their way forward and out of miserable situations together, fighting to stay upright while getting knocked down along the way. I was rooting for them the whole time. More specifically, this book features Scarlett and Jesse, former childhood best friends, who are no longer speaking. But when Jesse's grandmother dies, Scarlett goes to the funeral and slowly, and very tentatively a new friendship begins to rekindle between them. I really enjoyed Jesse and Scarlett as a pair, and would definitely say they're one of my favorites of McGarry's couples. I fell for each of them and just wanted better things for them both. Scarlett's home life, and and all she's been facing with her family was particularly hard to read about (be prepared for domestic violence), and I wanted nothing more than a magical cure to her situation. But what I always appreciate about McGarry's books is that she paints a realistic picture of the issues that her teens face and what it takes to get out of them. As hard it is to read, there are no cutting corners in this story. But what I loved was seeing Scarlett and Jesse find support and love in their lives, sometimes in places that they didn't expect, and then put in the work to love themselves and move forward from their current situations. Also I enjoyed many of the secondary characters in this book, especially, Jesse's cousin and psychic Glory. I wasn't sure how the supernatural elements - Jesse's family is under a curse - would play into the story, especially with McGarry's books being so realistic about life, but I liked the way they were woven into the tale. I'm a forever fan of Katie McGarry and I'll definitely be reading whatever she writes next. Cliffhanger Scale: Standalone. McGarry often does companion series, and Jesse has 3 friends with some information teased about them but not fleshed out, and I could potentially see stories for each of them. But I haven't heard anything confirmed. Book Description: He was raised in revolution. She was raised in a palace. Can their love stop a war? 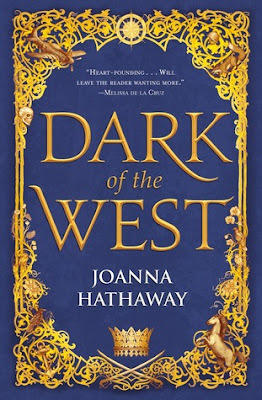 Code Name Verity meets The Winner's Curse in Joanna Hathaway's Dark of the West, a breathtaking YA fantasy debut. What I Love: Oh my goodness gracious, this series is going to murder me before it’s over. I don’t know how many books are planned, but I’m freaking out thinking of what is to come. I read this all the way through, then reread the prologue, and I’m even more of a mess now. THE DARK OF THE WEST is filled with political maneuvering and the machinations of war. And you need to pay attention from the start. It is all told through the perspective of a young princess and a new pilot, who are slowly but desperately caught up in its web, even as they fall for each other. It is a masterful process in an incredibly detailed world - and sure to have brutal results. The story contains a trope I love - enemies to lovers. As well as one I don't love - characters keeping their true identities secret from each other - but I was completely invested in these characters' lives and choices through it all. All I can say is that there's going to be some consequences to come, and I may need to be hiding under a blanket when they happen. What I Wish: I wish this book had a cast list, and I wish I'd had the map when I read. Also this is a small picky thing, but this story had so many R names - a prince, a king and two different countries, which definitely confused me on who and what was what. The plotting and war making are pretty complicated in this story, and though I love a good political book, some things edged towards confusing for me. I am just hoping that the next installment has a good recap! Cliffhanger Scale: Medium - so much more to come! Book Description: How do you kill a god? I’m all about a stand-alone fantasies these days. Series have been giving me too much anxiety, and Warrior of the Wild hit all the right notes for me, with the great bonus of being a standalone - yay! This is the story of Rasmira who's life is completely thrown off course, when her coming-of-age trial is sabotaged by someone she trusts (several someones), and she's exiled into the wilderness. Suddenly, Rasmira's not going to become the next chief of her village, and in fact, she probably won't survive very long out on her own and surrounded by monsters. I connected to Rasmira immediately and wanted all the best for her. I was fully caught up in the injustice of her betrayal and the impossible task she faces in the wild. Through it all, Rasmira never lost focus and determination. But what I loved most about this story was seeing her grow and change through her time in the wild. 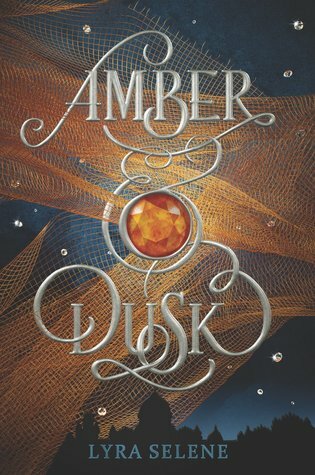 When Rasmira is exiled into the wilderness, her trust has been completely broken by people she cared about, and she definitely doesn't expect to find anyone out there, let alone two people who become her friends. I adored Soren and Iric from the start - they were exactly what Rasmira needed and she was what they needed. I'm typically drawn to the the hate-to-love romance, but I couldn't help fall for Soren immediately. Rasmira doesn't trust him at all (so I guess it's sort of hate on her side haha), but Soren doesn't give up on her. Their banter was hilarious and one of my favorite parts of the story. Watching Rasmira, Soren and Iric learn to work together was completely rewarding. Rasmira such a fierce fighter and she's so broken and determined when she's exiled, that I wanted nothing more than for her to complete the impossible mission and show everyone how amazing she is. And this aspect of the story does not disappoint. But watching Rasmira find friends (and a romance) and gain confidence as a leader, was some of my favorite parts. I took Warrior of the Wild on a journey into the wilderness during two seasons for some inspiration. 1) The first photo incorporates water, which is featured in an important task in the book. It also includes lots of color, which is how I imagine Rasmira's wilderness. 2) The second photo was taken in winter, but we can pretend that it's actually hot, since the weather is warm in Rasmira's wilderness. Rasmira must find food in the wild, and berries are one of her first options. This photo also reminds me of Soren, who teaches Rasmira which berries are okay to eat. 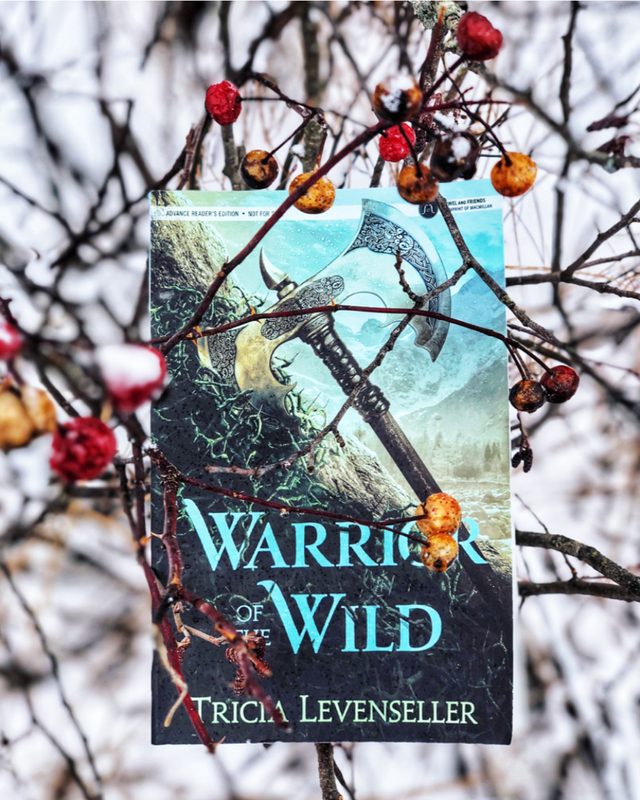 Tricia Levenseller is the author of the Daughter of the Pirate King duology and forthcoming standalone, Warrior of the Wild. She likes to describe her books as young adult alternate–world historical fantasies with heavy romantic subplots. Initially from a small town in Oregon, Tricia now lives next to the Rocky Mountains with her bossy dog, Rosy. She received her degree in English Language and editing and is thrilled that she never has to read a textbook again. When she’s not writing or reading, Tricia enjoys putting together jigsaw puzzles, playing volleyball, playing OVERWATCH, and watching shows while eating extra-buttered popcorn. 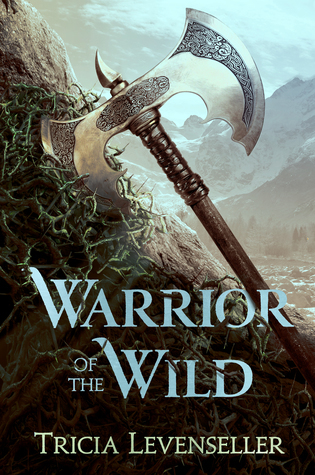 Don't forget to preorder your copy of Warrior of the Wild and receive a quote magnet, signed bookplate, and annotated chapter by Tricia! I’ve always been a reader. When I was younger, I read every single time I got into the car. Once I started driving, I had no idea how to get anywhere. I still take a book with me wherever I go – even if it’s just the kindle app on my phone – and read as much as I can (Don’t worry, I don’t read while driving!). When people ask me what I do for fun, I tell them: I don’t do crafts. I read. How do you define a love triangle? FOLLOW UP: How do you define a love triangle? 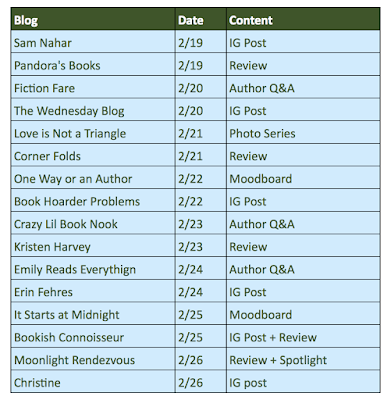 2013 Year in Review: See my favorite books last year.